Identity Theft is the fastest growing crime in America with an ID theft occurring approximately every two seconds (Federal Trade Commission estimates). When a crime is this prevalent, it is very likely that a percent of older adults in the US will become victims. Identity Theft is a crime in which the thief obtains key pieces of personal identifying or financial information for the purposes of obtaining credit, merchandise, identification, benefits, employment, medical care or services in the name of the victim. This information is also frequently used to provide fraudulent information to law enforcement during a traffic stop or when arrested for a crime. Identity Theft can cause a number of problems for a victim that will last for months or even years, and is often devastating in its effects. 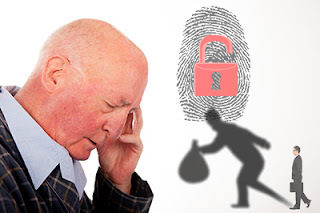 The impact of Identity Theft may be much more severe for an older adult who might lack the access to resources and support or find the details of the crime overwhelming. As professionals who work with the older adult population, it is important to understand the impact of the crime, how to respond to the crime and how to help clients prevent Identity Theft. In this blog post, we will discuss crime prevention techniques for Identity Theft perpetrated by strangers. This blog post does not address caregiver and family member related ID Theft; however this is a unique and devastating form of ID Theft that must be recognized. A commonly held and vocalized belief is that older adults are more vulnerable to ID thieves because they are often more isolated, lonely and trusting. While this may be true in some cases, this theory is misleading and encourages a stereotypical image of the older adult victim. The truth is that everyone is vulnerable to Identity Theft and everyone needs to take steps to protect themselves from the ID thieves. Older adults who are active and have dynamic social lives are as vulnerable to Identity Theft as more isolated older adults. The difference is in the ability to access resources and to cope with the stress of the crime. Whether isolated by choice, disability, illness or by geographic location; an older adult who experiences Identity Theft and the often related fraud/scams who does not have an active social support network and access to resources will need additional time and assistance in responding to crime. Similarly, these older adults may need more time and attention when creating a crime prevention plan. Never give any personal or financial information to someone you do not know. When in doubt, check it out. If someone calls you saying they are from an organization or creditor, hang up. Look up that phone number and call the company directly to see if they actually tried to contact you. Do not share personal or financial details on social media. Use credit not debit. You have much more protection when using credit. If your debit card is stolen, the thief will have access to your bank account. Install a quality security/anti-virus program on your computers, tablets, and smartphones. Set up auto updates for your computer/smartphone operating systems and your security system. Check your financial accounts frequently to ensure all charges listed are legitimate. Report any suspicious activities or inaccuracies immediately. It is also important to let older adults know why they may be targeted by ID thieves and scams artists more often than younger adults. The biggest reason older adults are a target is that they have more to steal. Older adults have (or are perceived by the criminals as having) more equity in their homes, more money, more freedom to access money, better credit, fewer debts and more liquid assets than younger adults. Criminals believe that because older adults are not as often in the process of buying homes, obtaining loans or making large purchases like vehicles; they will check their credit reports less frequently and will remain unaware of fraudulent activities. When helping older adults understand how to protect themselves from ID Theft, it is important to give them the same advice that is given to younger adults. That advice? Be vigilant, guard your personal identifying and financial information, be cautious when using the Internet, understand that your Smartphone is a computer, check your accounts frequently, and immediately report any suspicious activity. While the advice is the same, the method of sharing it might be slightly different when working with an older adult. Knowledge of how ID thieves obtain personal information is critical in preventing the crime. Some ID thieves still employ “old fashioned” means to obtain information such as dumpster diving, mail theft and burglaries/robberies. Therefore, it is still important to talk with older adults about shredding documents, being careful with both incoming and outgoing mail, and practicing general crime prevention techniques. However, these days, it is much more common for ID thieves to use technology and scams to steal information. Today’s ID thief will use skimmers to obtain credit/debit card information, hack into computers, emails or Smartphones to obtain personal and financial information and perpetrate a data breach to steal large amounts of information at one time. Another favorite of ID thieves is the phishing scam. The thief will make phone calls, send emails or text messages, communicate on social media or send letters that will trick a victim into giving information. Reducing the risk of Identity Theft is possible, and taking a few steps to protect personal information can be quite simple. When assisting older adults in creating a crime prevention plan, it is important to realize that the majority of today’s older adults did not grow up with computers and cell phones. As more older adults embrace technology, they must also be taught about security and online vulnerabilities. If an older adult with whom you are working is new to social media, it will be helpful for you to explain privacy and security settings. Remember, older adults over the age of 70 grew up in a culture where pen pals were common. Written communication with someone the person did not personally know, who might be in another country was seen as an adventure, not as a risk. For WWII era adults, falling in love with a deployed military member with whom you shared heartfelt letters was not uncommon. It is easy to see how someone with this cultural perspective might not think twice about “friending” a stranger or starting an online romance. For an older adult who loves to show off their grandchildren or even their beloved pets, posting and sharing photos and antidotes with anyone and everyone will not appear to pose any threat. Explain the importance of knowing people with whom you communicate and share information online. Smartphones are another piece of technology that could be confusing for an older adult. It is hard to understand how all of that technology can be packed into a telephone. Many older adults love the Smartphone and its ability to keep them connected to family and friends. Many find great security in having a phone that can be carried in the event of a medical emergency or if they should fall. However, they may not understand the dangers associated with Smartphone hacking and the installation of malware. Show the older adults you know how all of the pieces of the Smartphone work, including Apps and privacy settings. Explain the importance of using a quality security/anti-virus program on the phone. Online shopping is a boon for many older adults who find it difficult to get out and shop in “brick and mortar” shops and who do not want to be dependent on family or friends to do the shopping for them. Start by talking about how to choose a safe and trusted site for shopping. Help these individuals understand the importance of using credit cards rather than debit cards when shopping online. Explain how to choose a strong password and how to remember it. Go over how to retain a receipt and understand the site’s return policy. Talk about the importance of logging off of the site when finished shopping. Malware is a simple way for an ID thief to steal information. If a thief is able to install a form of malware known as spyware, that person will be able to monitor all of the online activities on that device. Talk with older adults about the dangers of clicking on links in emails, text messages or on websites. Explain that websites can be spoofed so that it is always best to go directly to a site rather than trusting a link. Show older adults the frequent ads that pop up when using Facebook or other social media. Explain that clicking on these ads could be dangerous. Help the older adult with online searches that will allow them to access that great story about a celebrity or cute cat video from a safe site rather than by a click on a link or ad. By showing older adults alternate ways to access information, you will help them understand that the Internet is not such a dangerous place that they should avoid it or be frightened, but that caution is a good policy. Older adults are more vulnerable than younger adults to certain scam artists who would steal their money and their personal and financial information. While anyone can be scammed, these criminals target older adults more frequently and often more aggressively. Older adults may be more likely than a younger person to believe that someone calling them represents a government agency, is an attorney about to file a law suit, is with a charity, or is calling from a sweepstakes or lottery office. A trick often employed by these scammers is to pose as someone from Medicare just needing to verify personal information, such as social security numbers. Scam artists are called artists for a reason. They are very adept at flowing with the information provided by the victim to perpetrate the scam. The scammers will always tell their victims exactly what they need to hear to further the scam. If meeting the person on an online dating service for example, the scammer will say he or she has had similar life experiences to the victim. The scammer will use a love of a grandchild or a pet to move the scam along. Whatever the scam, the scammer will artfully morph into whatever the victim needs to hear to believe what is being said and part with money and information. When preparing older adults for the scammers, it is helpful to provide someone that the older adult could call if he or she receives one of these calls, emails, text messages or letters. Having a professional with whom the older can discuss the contact gives that person more confidence to deal with the scammer appropriately. When a trusted professional assures that this is a scam and you will not be sued or arrested, have not won the lottery and will not lose your Medicare benefits; the older adult will feel safe to cut off contact without providing that personal or financial information. There are many programs available that bill themselves as Identity Theft Protection Programs, and a lot of their marketing is targeted to older adults. These programs can be very valuable; however they will not prevent all forms ID Theft, so can be misleading. Most of these programs are actually credit monitoring programs. They do effectively stop ID thieves from opening new credit in a customer’s name. However, if the ID thief has gotten far enough to try opening credit accounts, the person’s ID has already been compromised. This leaves the victim open to other forms of ID Theft such as medical ID Theft, benefits ID Theft, criminal ID Theft and more. Some of the ID Theft Protection Programs on the market today have resources to protect against these other forms of ID Theft. Programs may look for fraudulent use of a customer’s ID by searching criminal and driving histories, public records, mortgages, even the “Dark Net” (a computer network that requires special software or systems to access and is frequently used for illegal activities). These services will often cost more than the usual monthly fee. When discussing Identity Theft Protection Programs with older adults, it is important to talk about being a savvy consumer. Before committing to a program, a consumer should do some research about the programs and weigh the benefits and costs of each program. Advise older adults to read the fine print in any contract, and to understand the terms, especially any reference to cancellation fees. It is also important to understand what the program will do for a customer should an ID Theft occur. There are many options and it can get quite confusing. Assisting an older adult in deciding if this type of program is a good fit for their needs and resources is the first step. Helping with research and options is a great way to empower an older adult in making a quality decision. Preventing Identity Theft does not have to be difficult. It just takes some diligence and a good prevention plan. As someone who works with older adults, you may be in a unique position to help raise awareness and support older adults in making safe and healthy decisions. For more information on Identity Theft and Fraud, or for assistance with reporting and responding to these crimes, please contact the Colorado Bureau of Investigation.